As an avid world traveler, I’ve been to many places. I have seen beautiful countries and visited cities people only dream about. Of all the cities and towns (and even villages) I’ve been to, Austin, Texas, still remains the one place I would move to in a heartbeat. It’s the one place where I actually feel like my whole self. Austin doesn’t just have heart or soul, it has passion! The streets, the people, the restaurants and bars are bursting with life. With so much music in the air, it’s hard not to walk with an extra pep in your step. What I love so much about this city isn’t the food, the music, the amazing bars or street carts, it’s the fact that Austin will love and accept you, no matter who you are. 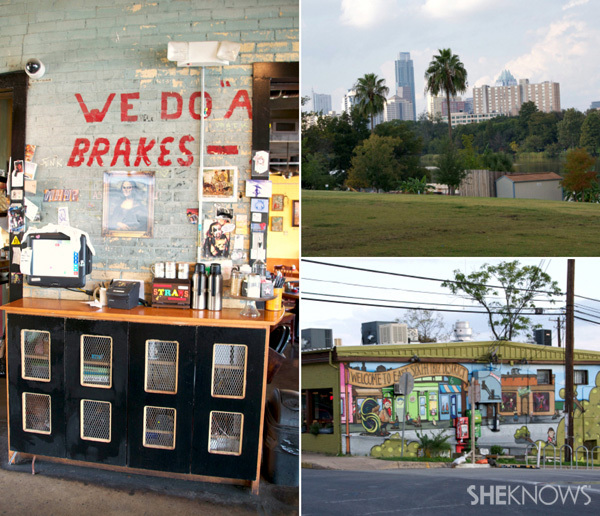 So if you’re lucky enough to find yourself in this vibrant town, if only just for 24 hours, I’ve written a guide on the places you have to visit — small pieces of Austin that will steal your heart forever. 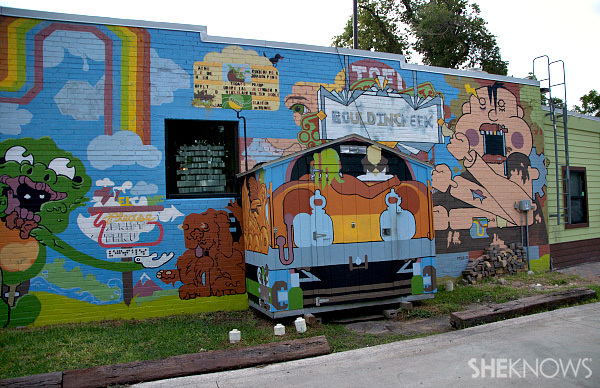 Start your morning with a cup of coffee, tofu scramble on toast and an array of colored hair and tattoos at the Bouldin Creek Cafe. It’s definitely not the only vegetarian or vegan option in Austin, but it’s one of my favorites. Plus, it’s hard not to love a building that looks like this one (see above). If you’re a meat eater, visit Kerbey Lane Cafe. It has won awards for its fluffy stacks of pancakes and has claimed to have made enough to stretch from Austin to Denver. My favorite was the gingerbread, but the pumpkin (seasonal) and gluten-free stacks are worth a bite, too. If you’re just looking for coffee, go to Jo’s Coffee on S. Congress Avenue. Great coffee and even better people watching. After your morning joe, head to the amazing Harry Ransom Center at the University of Texas. Not only is the campus (and football field) a must-see while there, the Ransom Center is home to incredible works of art, like the Gutenberg Bible, old films and art from the early 18th century. Plus, it’s free. Take a cab from the campus and head to S. Congress Avenue to do some shopping. Start at Allens Boots, and pick up a pair of custom-made cowboy boots. They might set you back a few hundred, but they’re worth it. Then hit up Uncommon Objects, which is full of fantastic antiques and unique buys. 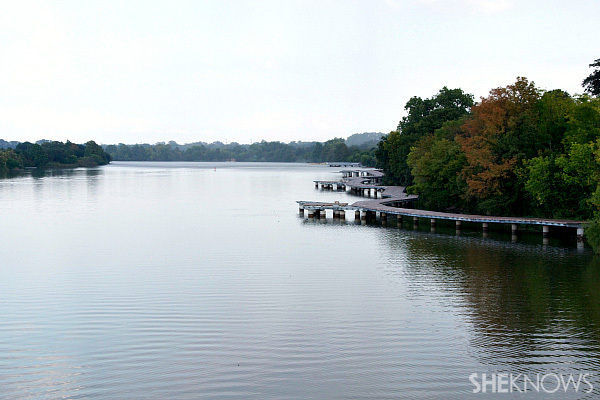 If you can, rent a car and cruise up to West Lake Hills surrounding Austin. 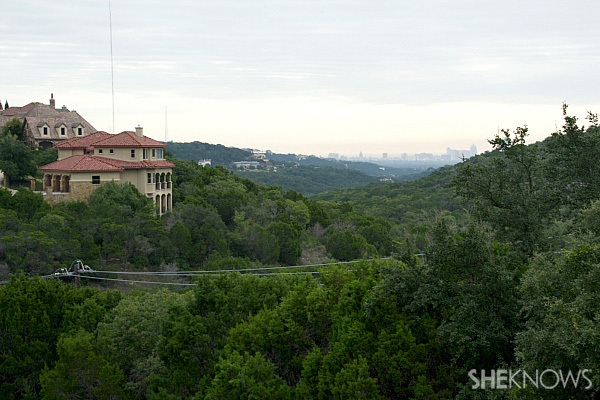 You’ll get sweeping views of the gorgeous city and get to check out multi-million-dollar homes at the same time. While you’re cruising, stop by the Umlauf Sculpture Garden and Museum on Robert E. Lee Road. The inside is beautiful, but the garden is stunning and filled with one-of-a-kind sculptures. The Contemporary Austin at Laguna Gloria is breathtaking, too, and sort of a best-kept secret among locals. Park your car and then take a stroll around Austin’s top streets, like S. Congress Avenue, E. Sixth Street, Second Street and the West End. We’d recommend starting on E. Sixth Street. It’s a little touristy, but you can grab information at the Austin Visitor Center and get a big buffalo burger for lunch from Casino El Camino. Then skip on over to the West End, which is right on the edge of E. Sixth Street. Here you’ll find one of the first-ever Whole Foods Markets. Then head to Second Street, which is home to 50 unique shops and theaters. My favorite street is S. Congress Avenue (SOCO), which is home to some of the best restaurants, the city’s greatest food trailers (I am obsessed with Gourdough’s Big Fat Donuts) and the Continental Club, one of the city’s most popular music venues. Head back to E. Sixth Street and spend the rest of your afternoon at the Easy Tiger German bakery. The breads and sweet rolls are decadent, and it has about 50 craft beers on tap. 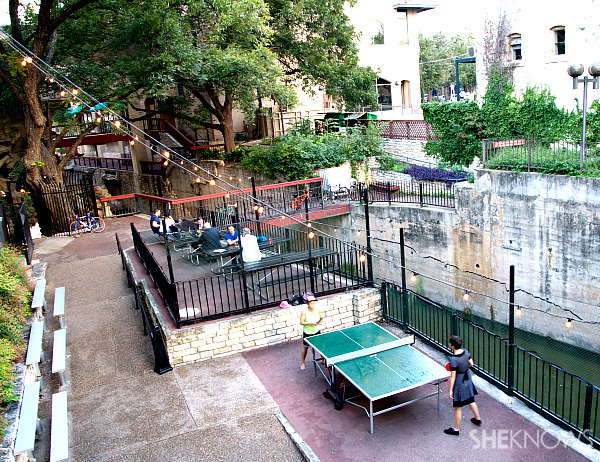 Then play some ping-pong or grab a table near the water and chill. 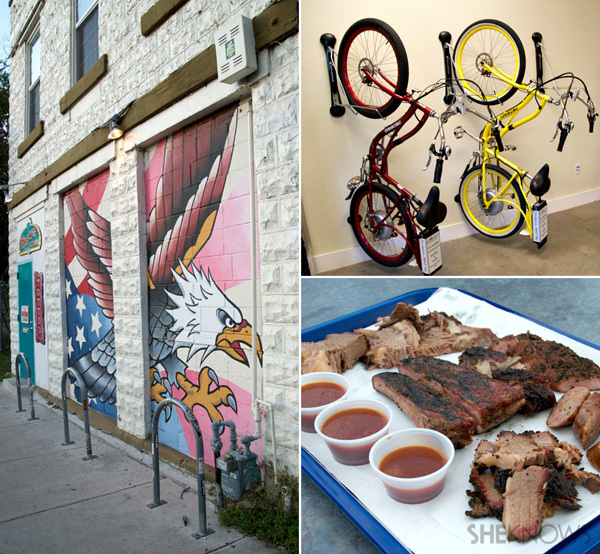 The most-incredible experience I had in Austin was with Nicole and John, a girlfriend-and-boyfriend team at Rocket Electrics, a one-of-a-kind bike-rental shop on the outskirts of town. Doing the city by bike is the best way to see it in a whole new way. John took me on a three-hour tour of his favorite bars, food trucks and parks, places you’d never see on a traditional city tour. It was on this tour I tasted some of the best BBQ in the city at the Blue Ox and had a beer and steamed pork bun at East Side King, home of the coolest grunge bar and Paul Qui’s food truck. Plus, John knows just about everything there is to know about the Austin scene and will truly open your eyes to a part of the city only locals know about. When you rent a bike, ask John to take you by the beautiful new path they’re installing on the Colorado River. The Boardwalk Trail bike path will connect all of the city’s bike paths together, making it easy to kick the car and ride along the city. Grab dinner at the funky East Side Show Room. This place is a mix of a speakeasy, hipster bar and punk bistro. Here musicians play on fantastic instruments like steel guitars and accordions, and Marx Brothers’ movies play on repeat while you wait for the next set. Order the quail, grilled cheese or branzino, and pair your dinner with a pecan porter, Moscow Mule in a fancy copper mug or a Dark and Stormy. After dinner, hop over to the Drafthouse on E. Sixth Street. Here you can grab a drink and watch a new movie or catch a live performance from one of Austin’s newest and raddest musical acts.